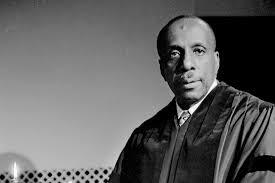 Backs Against the Wall: The Howard Thurman Story, airing Monday, February 11, 2019 at 9 p.m. on WXXI-TV, chronicles the extraordinary life of theologian Howard Thurman, a poet and “mystic” who used religious expression to help ignite sweeping social change. Thurman was born the grandson of slaves in segregated Daytona, Florida. Despite the circumstances of his upbringing, he went on to become one of the great spiritual and religious pioneers of the 20th century, whose words and influence continue to echo today. His landmark book, Jesus and the Disinherited, was the first to state that Jesus Christ — who was born in poverty as part of a powerless minority — lived a life that spoke directly to black Americans. In his own time, Thurman was a celebrated religious figure with profiles in major magazines such as LOOK, Ebony and others. His efforts at the height of World War II to create the nation’s first interfaith, interracial church stands as a precursor for many contemporary faith communities. And for millions today who consider themselves “spiritual but not religious,” Thurman’s poetry, meditations, sermons and prayers continue to be wildly popular. Backs Against the Wall: The Howard Thurman Story also airs on WXXI-WORLD (DT 21.2/cable 1275) Friday, February 8 at 9 p.m. and Saturday, Febuary 9 at 4 p.m.